Sue is a lady I met through the Internet, she has an online patchwork store which is well worth a visit, lovely fabrics and all sorts of other wonderful things for sale, here is the link for you. 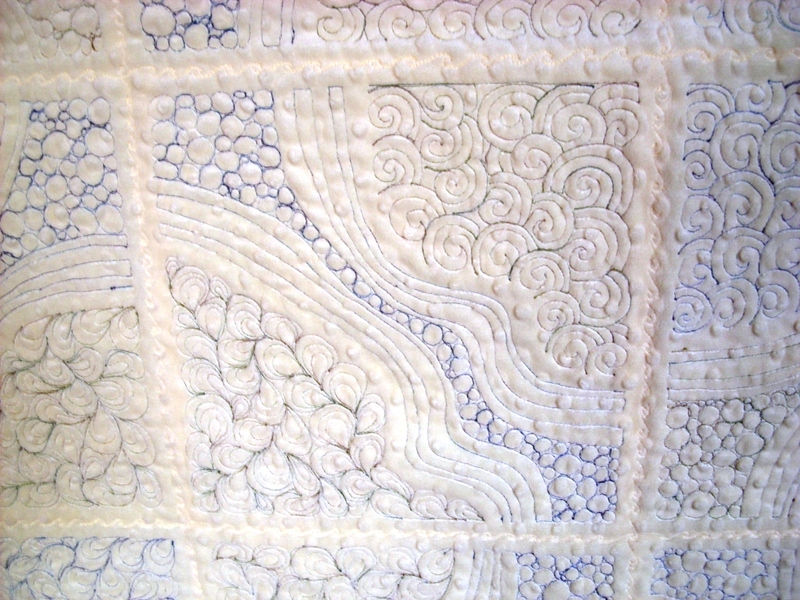 http://www.passion4quilting.com/ Excellent service I can recommend highly. 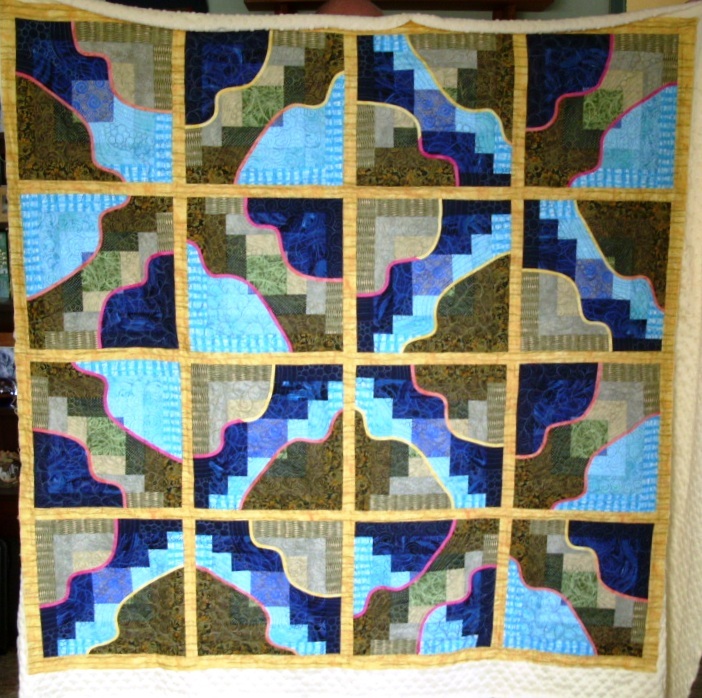 When Sue came to my group with some of her goodies earlier in the year we were talking about quilting and when she said she sent her quilts to USA to be quilted I said I do quilting for people, not like me to push myself forward like that but she took me up on what I said and sent me a quilt to do for her. When it arrived I loved it and couldn’t wait to start it. Had to have my group’s meeting first then I got down to it. 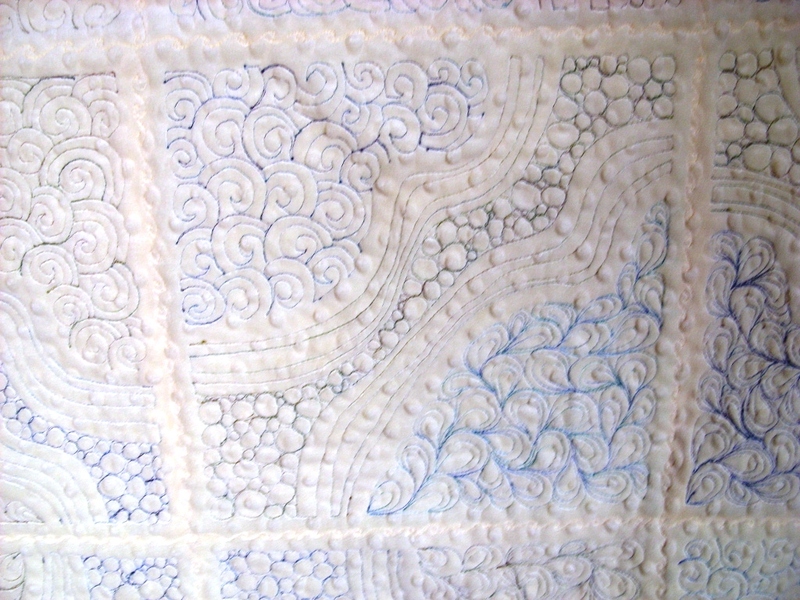 I looked at it and what I saw in my head was water running throughout the quilt, Hope you understand what I mean when you view the pictures. 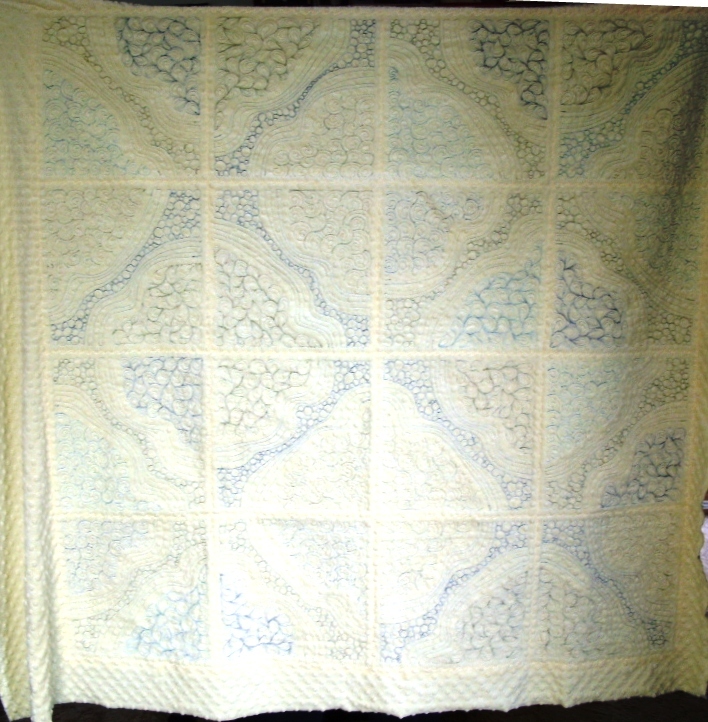 Anyway, upshot is Sue came on Friday to collect it from me we had a lovely natter, and I am pleased to say she liked the quilting on it and has said she will send me more. Woo hoo. I love it when things go right. Thank you Sue. Two close-ups showing the blocks and the pretty coloured binding throughout, can you see why I thought it was water? I love the pattern I loved the fabrics Sue used, it was a joy to quilt particularly as she had said I could do what I wanted on it, yesssss. 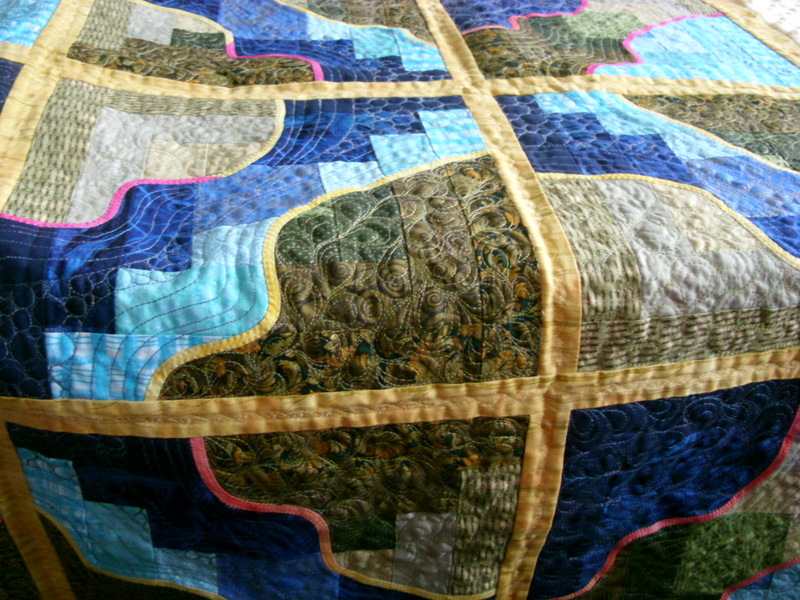 Thank you Sue for letting me loose on your quilt and for allowing me to post it here. 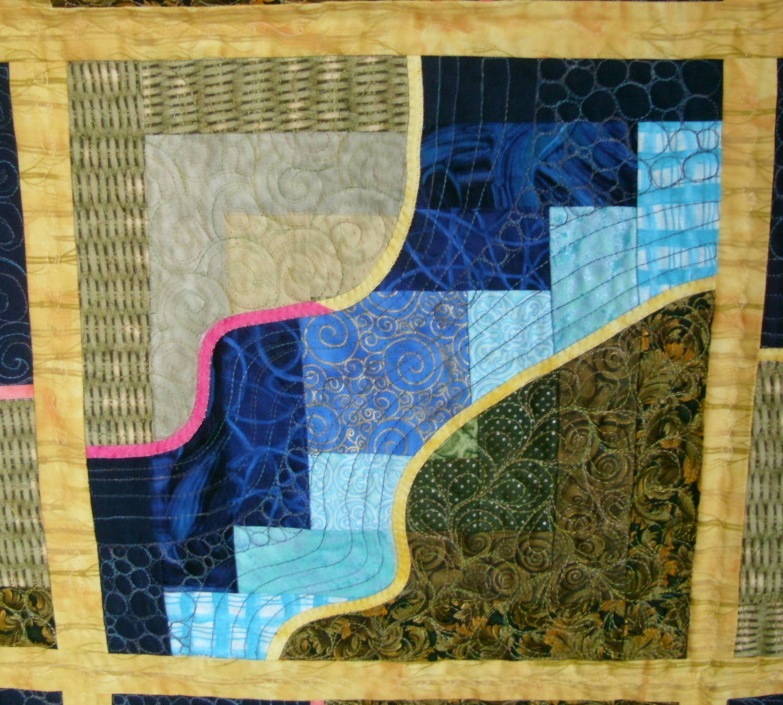 This entry was posted in SUE's QUILT and tagged SUE's Quilt. Bookmark the permalink. 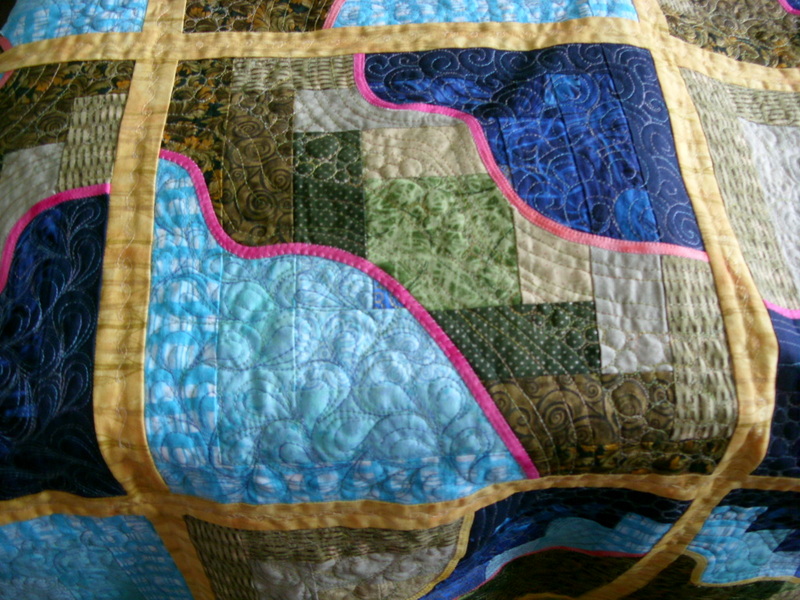 Thanks Janice, I was so happy doing this quilt. What an unusual and lovely pattern. 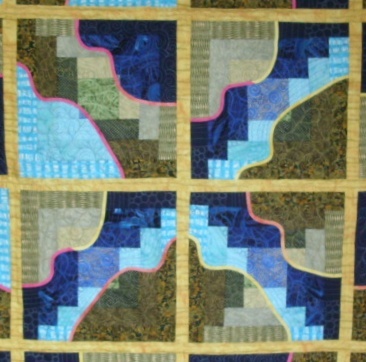 I see landscapes with the blue representing water in each block. 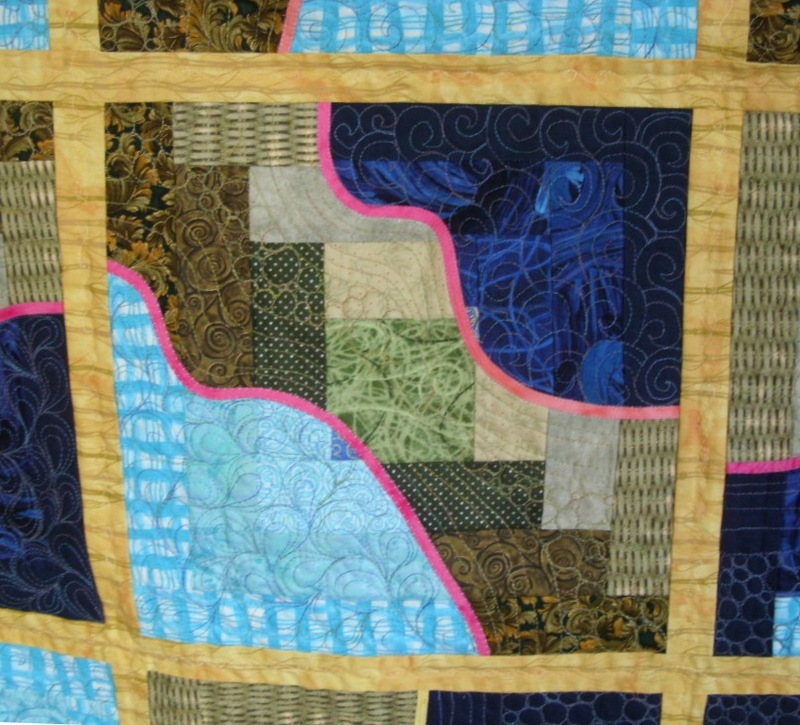 I really love how Sue’s quilt has so much to look at – a treasure map, just needs an X for the treasure. 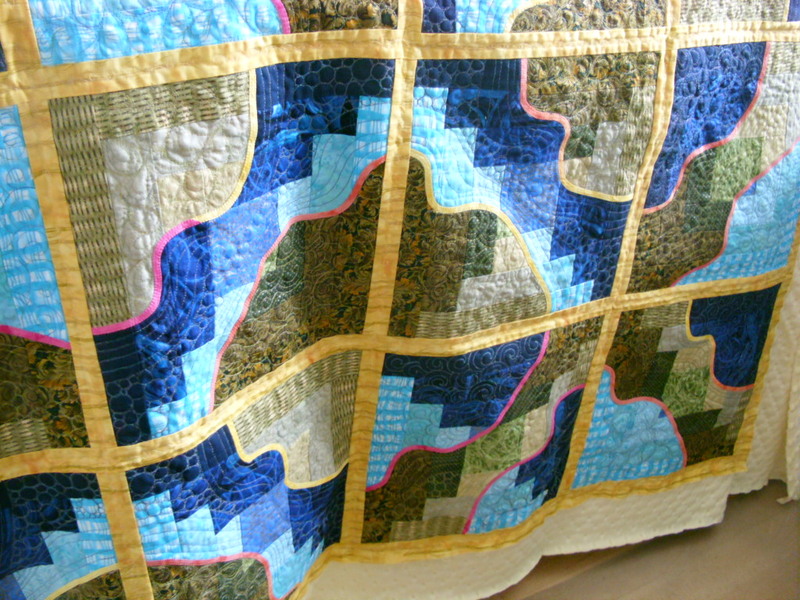 The quilting is beautiful and I love the effect of your quilting on the back.